Toussaint was born in the Gert Town section of New Orleans in 1938. He took informal music lessons from an elderly neighbor, Ernest Pinn while soaking up the boogie-woogie rhythms of Albert Ammons, Pinetop Smith and the master of the distinctive New Orleans rolling piano style, Professor Longhair (aka Henry Byrd). In 1958, Allen became the house pianist for the studio at J&M Record Shop where he honed his producing and arranging talents. He began performing regularly in Bartholomew's band, and he recorded with Fats Domino, Smiley Lewis, Lee Allen and other leading New Orleans performers. 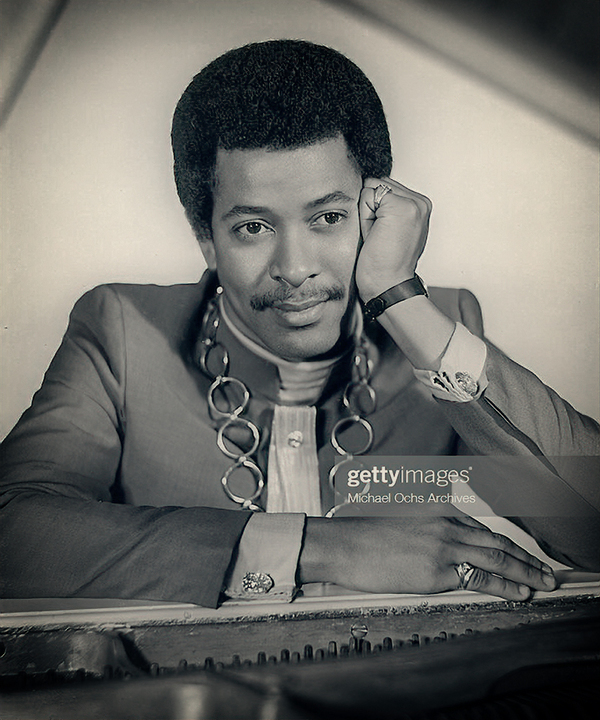 An early photo of Allen Toussaint. Those auditions from early 1960 yielded five very gifted performers. Jessie Hill, Benny Spellman, Joe Tex, Irma Thomas and Aaron Neville. Only Tex wasn’t offered a contract because he was already signed to another label. However, the best hire of the day came in the person Toussaint himself. “So when the day of auditions was over, the two gentlemen called me in. At that time, they had thought that Harold Batiste was going to be their A&R man, however he was on the West Coast with Sonny & Cher, who were having their hey day at the time. They asked me to fill the role until they could secure Harold. I immediately said yes, and right away they were very satisfied with me and I was elated to be with them. Batiste stayed on the West Coast and I stayed with Minit and then Instant Records,” Toussaint stated. (4) Adding Lee Dorsey and Ernie Kador (DJ’s had problems pronouncing his last name so at the suggestion of Banashak, he changed it K-Doe) to the roster, Minut Records was ready to become the best outlet for local New Orleans talent. Within a few months, Toussaint’s arranging skills paid off when Jessie Hill’s self-penned tune, Ooh Poo Pah Doo, hit the charts, giving Minit it’s first big hit. Unfortunately, it would be the only hit Hill would ever have. Ernie Kador came from a broken home in Chicago where his father was a minister. His early years were spent in New Orleans with his aunt. By the time he was a teenager, he was performing with gospel groups. Returning to Chicago to live with his mother at 16, he sang in various bands and performed in nightclubs. 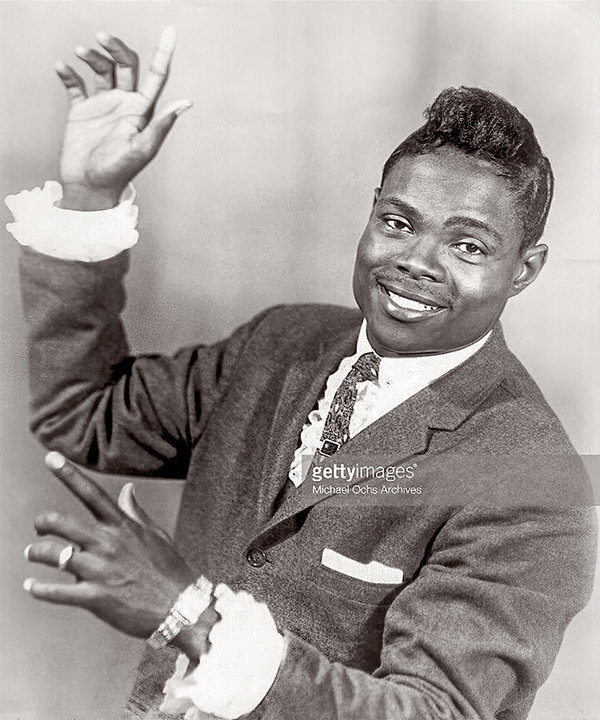 He returned to New Orleans in 1954 and became a member of the Blue Diamonds, performing at clubs like the Dew Drop Inn and the Club Tijuana. He sang lead on the group’s only single Honey Baby, which failed to generate any interest. However, his stage persona caught the attention of Larry McKinley, who would sign Kador to his Minit label. Photo courtesy of HooDoo Records. Photo courtesy of Shout Records. The A-side, Lipstick Traces (On A Cigarette) featured the same structure as Mother-In-Law. Backup harmonies were supplied by Irma Thomas, Willie Harper and Ernie K-Doe, who reprised the tag line of don’t leave me no more as the song fades. 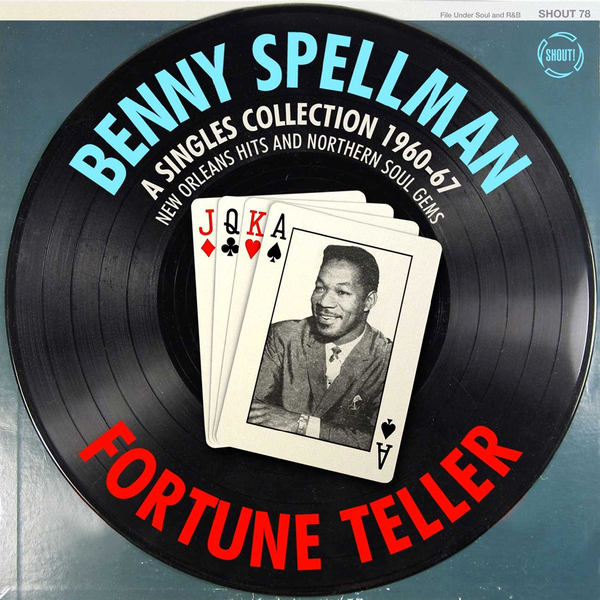 The flip side, Fortune Teller, eventually became the side disc jockeys would plug. The two sides topped at #80 in the summer of 1962. (14) Each song did have an afterlife. In 1965, the O’Jays revived Lipstick Traces. The Rolling Stones eventually covered Fortune Teller. British beat/R&B outfits, such as The Merseybeats, The Who and The Downliners Sect also took a turn at the song. Just as Mother-In-Law was reaching the top of the charts, The Blossoms released an answer song, Son-In-Law. 1) YouTube, Will B, Allen Toussaint Documentary, July 11, 2013. Link. 2) Alice Clark, Louder Sound, Allen Toussaint 1938-2015, November 10, 2015, Link. 3) Joel Whitburn, Top Pop Singles 1955-2002, Page 202. 4) John Duran, The Quietess, Born To Do This: Allen Toussaint Interviewed, November 10, 2015, Link. 5) The Telegraph UK, Allen Toussaint, Songwriter – Obituary, November 12, 2015, Link. 6) Grace Lichtenstein, Laura Dankner, Musical Gumbo: The Music of New Orleans, June 1, 1993, Page 112. 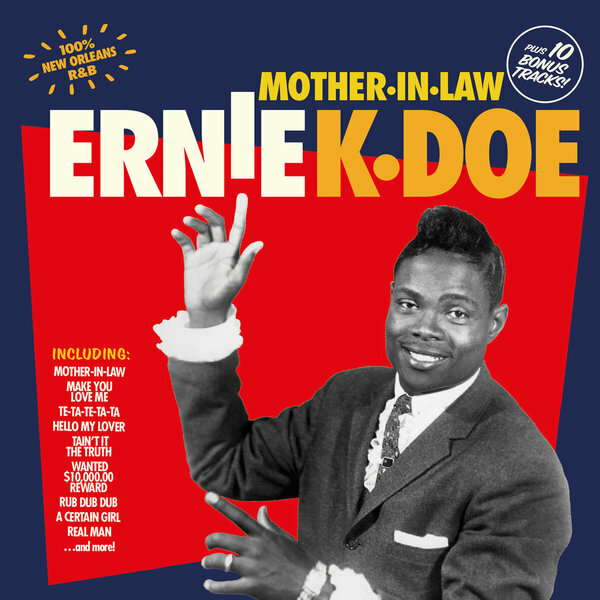 7) Songfacts, Mother-In-Law by Ernie K-Doe, Link. 8) Rachel Martin, host and Karyn Michel, byline, NPR, The Rise, Fall And Redemption Of New Orleans' 'R&B Emperor', December 23, 2012, Link. 9) Bruce Pollock, Songfacts, They’re Playing My Song – Allen Toussaint – “Southern Nights”, January 29, 2014, Link. 10) Dave Davies, host, NPR, 'Fresh Air' Remembers Hit Songwriter, Pianist And Producer Allen Toussaint, November 13, 2015, Link. 11) Detroit Bob, Still Singing The Blues, Lipstick Traces, June 7, 2011. Link. 12) Joel Whitburn, Top Pop Singles 1955-2002, Page 376. 13) Joel Whitburn, Billboard Hot 100 Charts The Sixties, May 22, 1961. 14) Joel Whitburn, Top Pop Singles 1955-2002, Page 663. 15) Michael Jack Kirby, Way Back Attack, Ernie K-Doe – Mother-In-Law, Link. 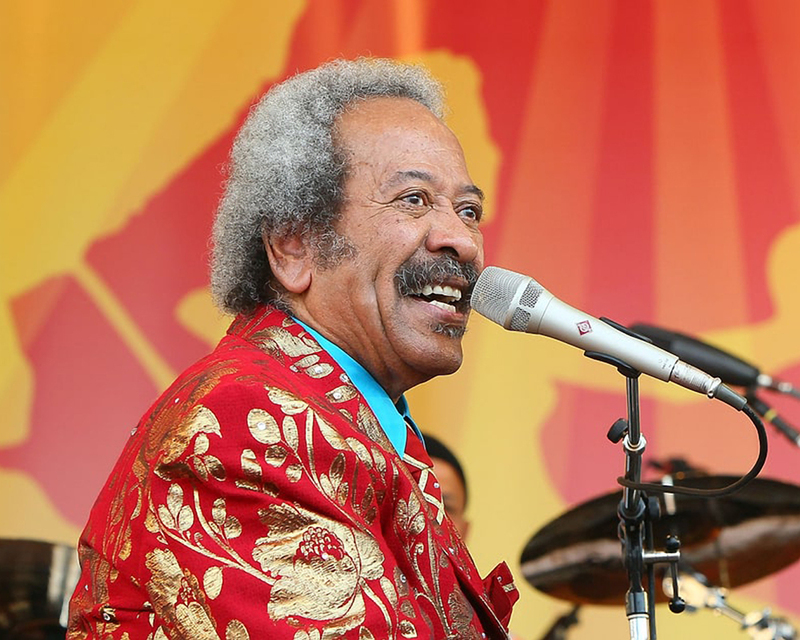 16) Wikipedia, Allen Toussaint Discography, Link. 17) Wikipedia, Allen Toussaint, Link. 18) Dominic Turner, Black Cat Rockabilly Europe, Benny Spellman, Link. 19) The Dead Rock Stars Club, 2011 January to June, Link. 20) Jeff Hannusch, Offbeat Magazine, Obituary: Benny Spellman (1931-2011), July 1, 2011, Link. 21) Wikipedia, Ernie K-Doe, Link.